In our modern world, we often take for granted the infrastructure and facilities that technology provides — including septic systems. If it were not for the invention of septic systems, we might still be funneling our sewage to our nearby rivers and creeks. We’ve come a long way since then, and for good reason: to protect the environment and our health! 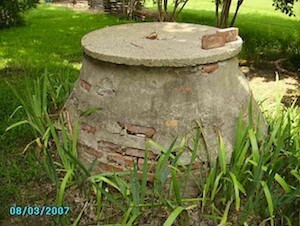 1860 (estimated) – John Mouras designs the first septic tank and builds a prototype using concrete. He uses clay pipes to funnel wastewater from his home into the tank. 1870 (estimated) – Mouras dismantles the tank. Surprisingly, it contains mostly liquid effluent and almost no solid waste. 1881 – Mouras is granted a patent for his septic tank design. 1883 – Septic systems start appearing throughout the US. 1940s – Septic systems become cheaper and more popular during the post-WWII economic boom. 1960s – Old septic systems begin failing. Construction of sewage treatment plants cannot keep up with growth of cities and towns. 1970s – Many cities begin regulating system sizing and design, along with permitting new system installation to ensure they are designed and installed properly. 1993 – The Texas Commission on Environmental Quality (then called the Texas Natural Resource Conservation Commission) is founded, and begins creating the regulations that keep septic systems and neighborhoods healthy in modern times. Although standard septic systems reigned for decades, aerobic systems are now much more common in many areas. There are no real big technology changes on the horizon, but regulations regarding system sizing continue changing — some as recently as a few years ago. Download a free copy of Understanding and Maintaining Your Septic System to learn more about how septic systems work and what you can do to keep yours in peak operating condition.